Synopsis A short film "THE QUEEN OF DARKNESS" is adapted from a true story about a baby girl’s disappearance in Hong Kong. The story begins with a woman that she reported to the police, she missed her baby daughter after asking for directions by a stranger. After several rounds of investigation, police inspector found that she was telling lies and everything is her self-directed speech. Running out of time, could Police inspector find the baby daughter or everything is just a scam? Who is telling the truth? The Story can bring you to reveal the dark side of human. Cheng Tsun-ho Waku, is born and grew up in Hong Kong. He graduated at The Hong Kong Polytechnic University and The Open University of Hong Kong in 2009 & 2013, studying Multimedia Design & Technology as well as Creative Writing & Film Arts. In 2013, he gained the Best Cinematography (Student Division) in The Fresh Wave International Short Film Competition with the film No way out. 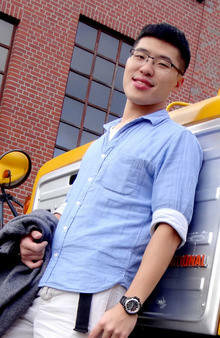 At the present, he is working in Television Broadcast Limited worked as Visual Producer. 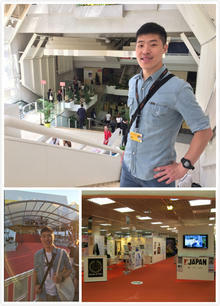 & Short Film Corner – 69th Festival de Cannes in France, under the sponsorship of NAE.